Les Archives du Coeur is a collection of recorded heartbeats housed in a small building on the island of Teshima in Japan’s Inland Sea, a ten minute walk from Karato Port. 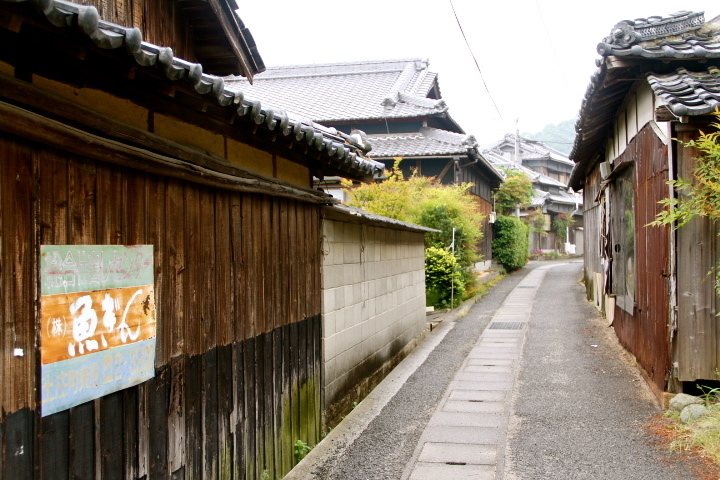 A walk that goes through woods, past crumbling old houses, faded shop signs, moored fishing boats, and past a couple of shrines. 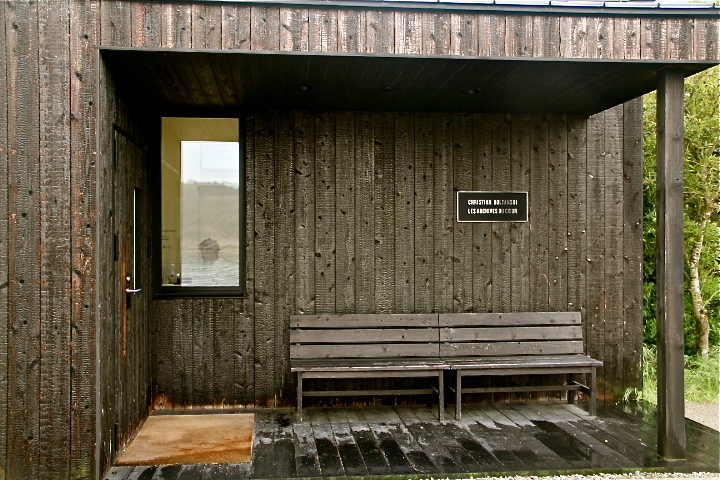 The small building in its remote location is constructed from a dark wood that blends into its surroundings. As I was walking there, alone and in silence, I questioned if anyone would find me here, should they try. Was there any trace of my being here? The artist Christian Boltanski says that his archive of heartbeats is proof of the lives of the participants. It is, at least, proof of around thirty seconds or so of what was, at the time of recording, a life. When you visit the archive you first see a monitor displaying the name of the owner of the heartbeat that you hear coming from behind the next door, as well as the date and the place where it was recorded. When you open the door into the main room you step into a heartbeat so loud that the walls seem to vibrate — or maybe that’s the effect of the bulb that flashes on and off in pace with the heartbeat. When the bulb lights the room up for a split second rows of mirrors lining the walls become visible. Catching an image of yourself in one of the mirrors, you might say to yourself: I am here. Or, you may find yourself wondering about Sophia whose heartbeat (recorded in Paris, 2010) that you can hear and, in a way, see. Where else is her heart beating? And where was I? I was not lost, but I was in a place where I could not be found. No one would even know where to look. I remembered myself at 13 years old. I had stayed late after school for hockey practice and had to walk about a mile to the bus stop to get back home. Somewhere along the way I got lost. Lost: it was the end of everything. I sat down on a strange street and cried, sure that nothing would ever be right again because I was lost and no-one would ever know where to find me. 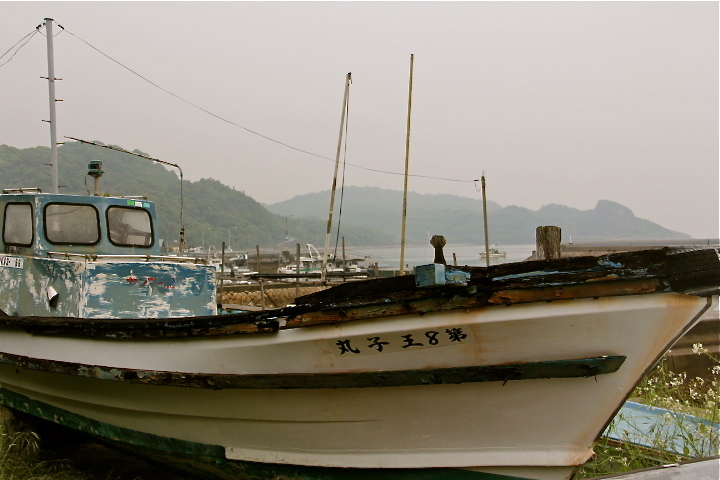 The terror I felt then was nothing like the quiet sense of nowhere I felt on Teshima. And anyway, there is always a way home; though we may not mean to, we leave crumbs wherever we go. You can search for people on the heartbeat database by typing in their name or a place or date — the artist has recorded heartbeats in London, Berlin, Helsinki, Stockholm and New York. I had the option to record mine and add it to the database for someone to hear in the little room in the little building on this faraway island. It would be my stamp on Teshima that said I was here. But I chose not to. I was content with leaving crumbs. Previous Post Where Are We Now?